Thank you for visiting Absolute Realty. We are a full service brokerage, offering everything from buyer and seller representations to property management and property checks for absentee owners. If you would like to meet with us please call for an appointment and we are in and out all day showing properties and do not want to miss you. If you need to drop off a rent check please do so at anytime by placing it in the mail slot of our door at 486 Applegate Way in Ashland. 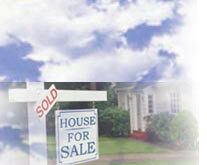 If you would like to visit the local multiple listing service, click here (www.somls.com). Feel free to contact us with questions or requests for info on any property, whether it's our listing or not.